You’d be forgiven for missing the odd ride or two when you’re feeling under the weather. But with the fierce determination and motivation that Jo McCormac has, this isn’t an option. In a short time frame, Jo suffered appendicitis, broke a hand and contracted pneumonia. Yet she still finds time to clock up the miles and is rapidly approaching the #Hack1000Miles finish line. “I’m a student and freelance groom, and my horses, Tia and Dubh, have to fit around this – so riding is usually done at very unsociable times,” says Jo. Jo’s determination to ride and compete is in a league of its own, given what she has overcome in order to continue riding. At the beginning of September, she returned from the World Young Rider TREC Championships having contracted pneumonia. “I managed one day without riding before carrying on,” says Jo. But this wasn’t the end of Jo’s bad luck. 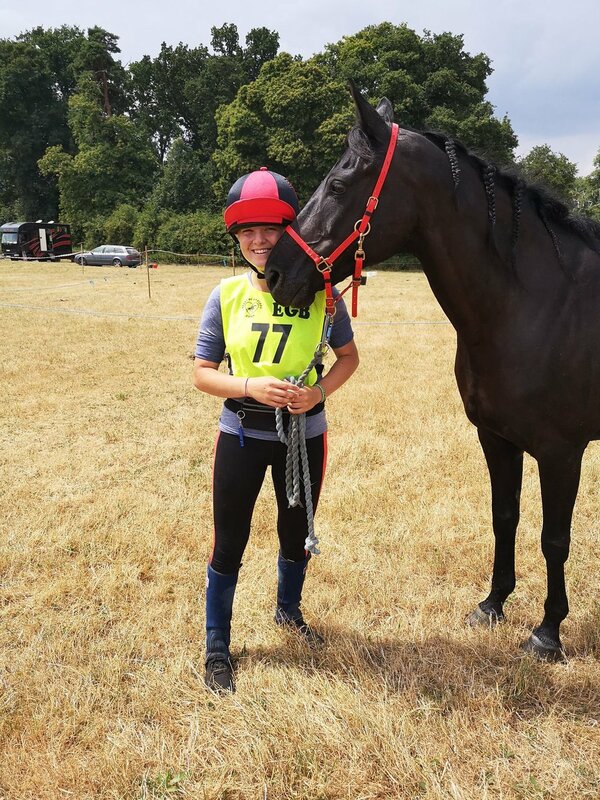 She left for the British TREC Championships just weeks later with a broken hand, and the weekend was brought to an abrupt halt when she collapsed from appendicitis. This time, she had no choice but to rest. “I think it’s good that hacking is receiving recognition for how beneficial it is for training purposes,” says Jo. “My total is currently 1680 miles, and they will keep clocking up. “The plan is to ride from Cirencester to France next year, as part of Equirando, where riders from all over Europe ride to a central point and have a weekend together before riding home.